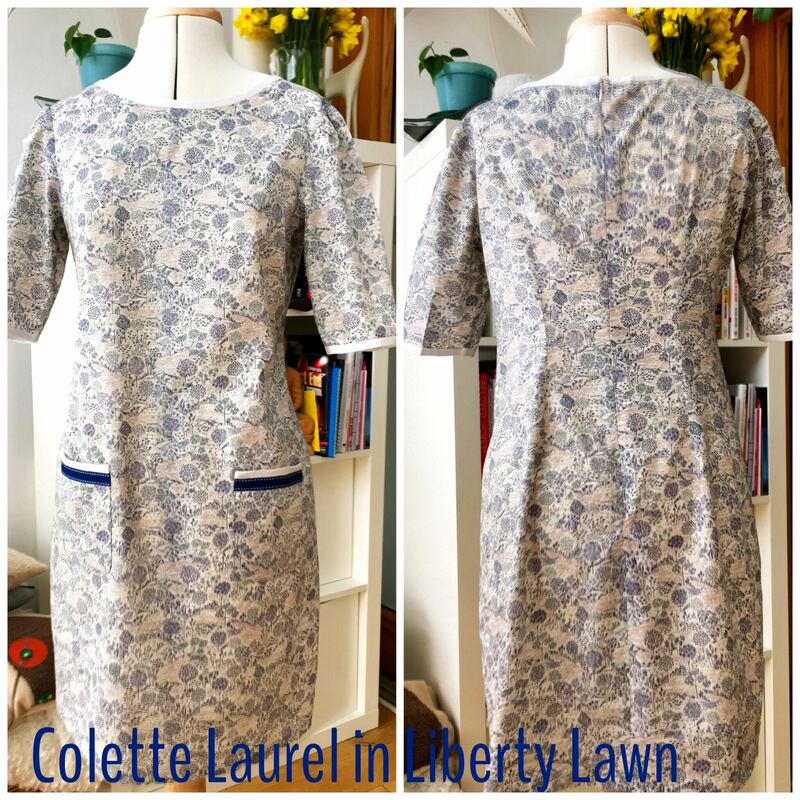 I decided to have a go at Colette’s Laurel shift dress after a bit of a wardrobe edit. There are so many gorgeous variations out there; I really love Sew Convert’s version and this graphic print version from the Fancy Tiger blog. 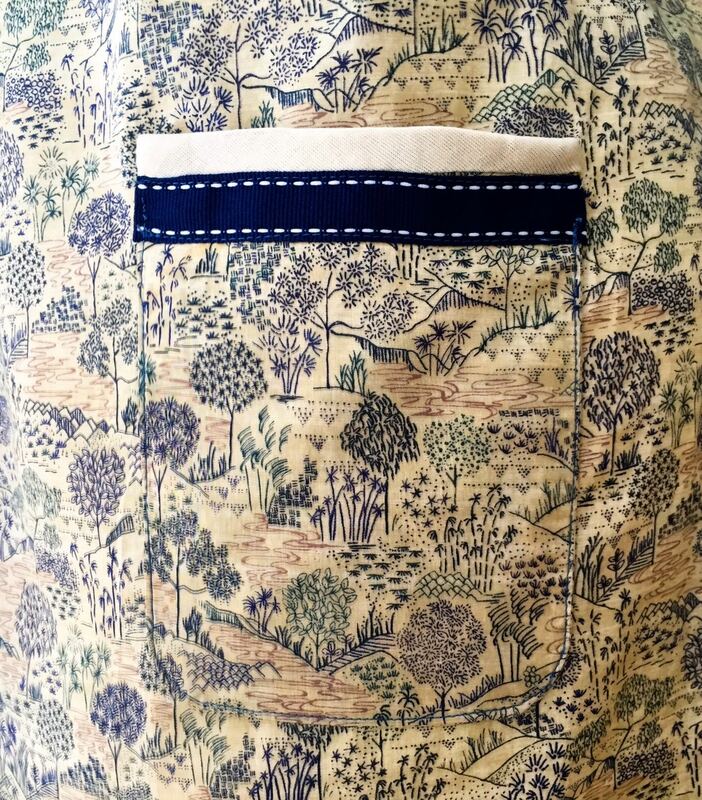 I had been to London for the weekend which, of course, included a trip to Liberty and two metres of beautiful Tana Lawn which was begging to be Laurelised. 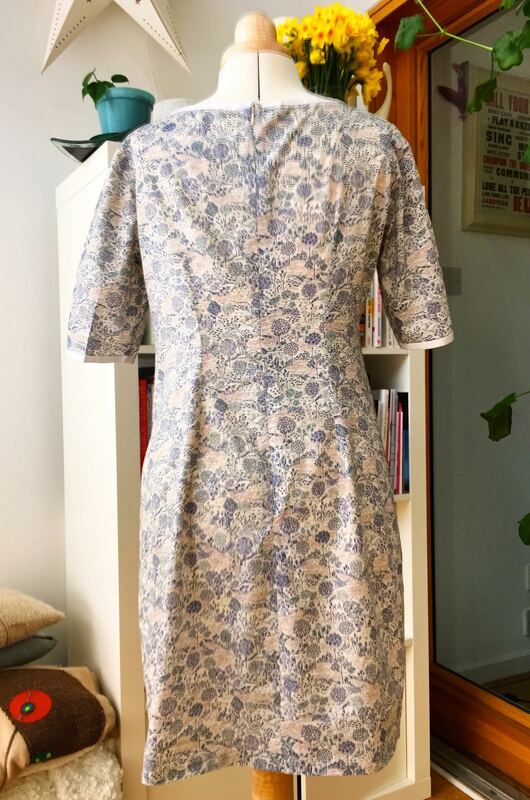 I graded the pattern to fit my measurements and made a toile of the Laurel first. The only changes I made were to shape the side seams in slightly, move the dart position and added a bit to the length. It seemed to fit ok at that point but when I made up the dress it still felt quite big so I added a bit more to the back darts (about a cm I think) which helped to give it more shape. I added bias binding and ribbon to the top of the pockets as well as to the neck and sleeves. I wish I’d bought enough to finish the hem too but it had sold out by the time I went back for more- lesson learned on that one! 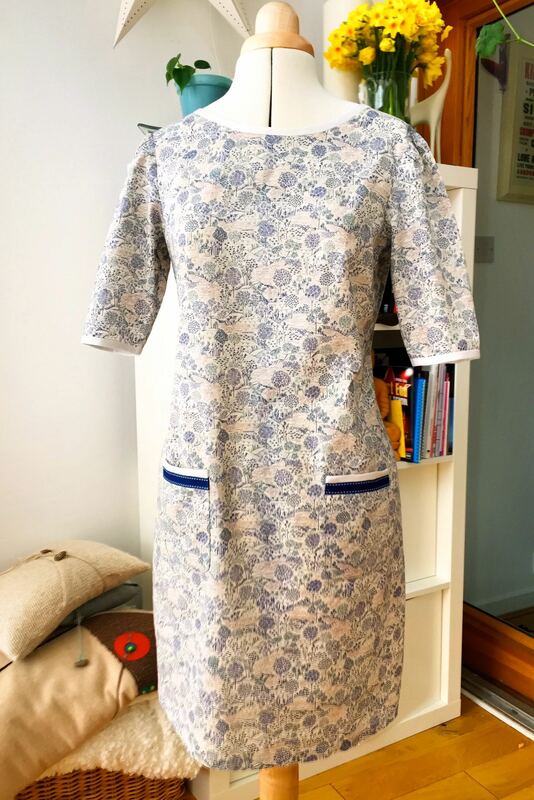 This is a really easy dress to make and wear- it is the first ever dress I made and I love it for that alone. I still think it’s a bit big because I can take it on and off without the zip; at least it was good practice in installing an invisible zip! I wish I had underlined it since it’s quite sheer but a microfiber slip sorts that out quite nicely. It is really a summer dress although I have worn it with grey wool tights and boots this winter a couple of times.